states with the aid of subtle music and vibrations! This CD is not music in a traditional sense. It is an ambient sound space designed to take you into a very specific altered state of consciousness: the Theta state. Theta is a state of deep meditation, a space of dreams, visions and heightened creativity. To be in Theta is to be awake within the dream. While in Theta you may comprehend certain cognitions that otherwise seem ungraspable and reach spaces which may otherwise seem unreachable. The CD works on several levels. It uses binaural technology to ensure that your deep brain produces the desired frequencies. It also works directly on your higher brain through direct vibrational content. Finally, it establishes a mood through subtle drones suitable to entering the Theta dream state. 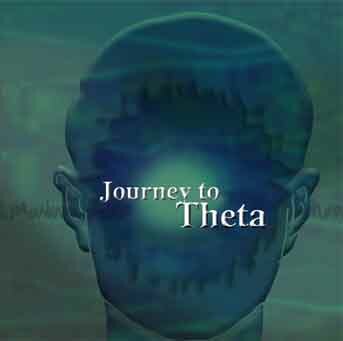 take a journey into Theta.